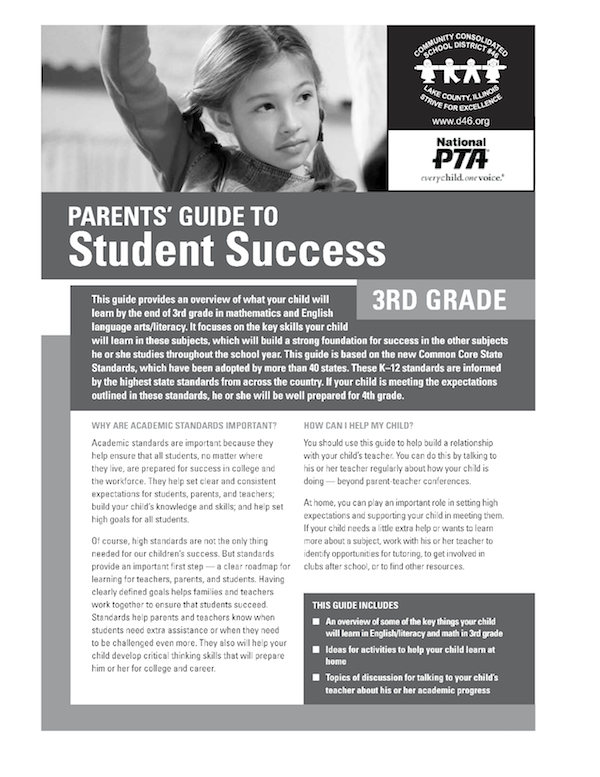 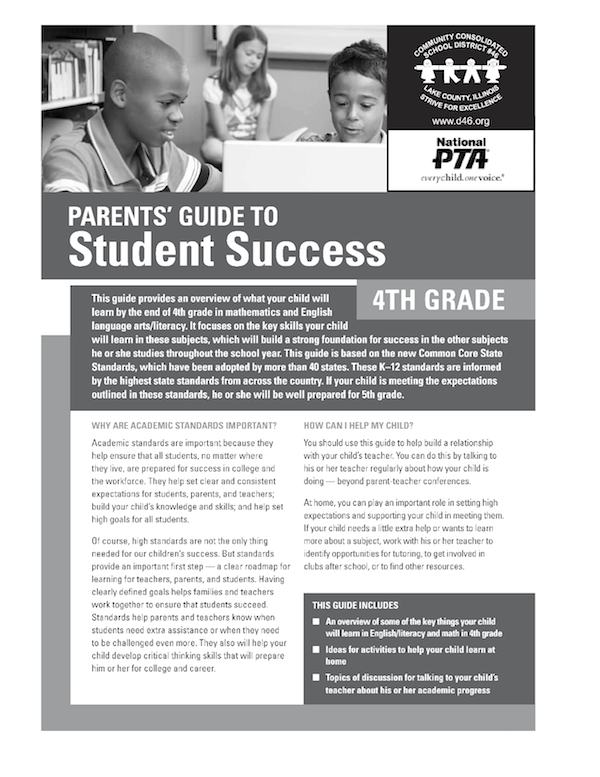 These guides provide an overview of what your child will learn by the end of the year in mathematics and English language arts/literacy. 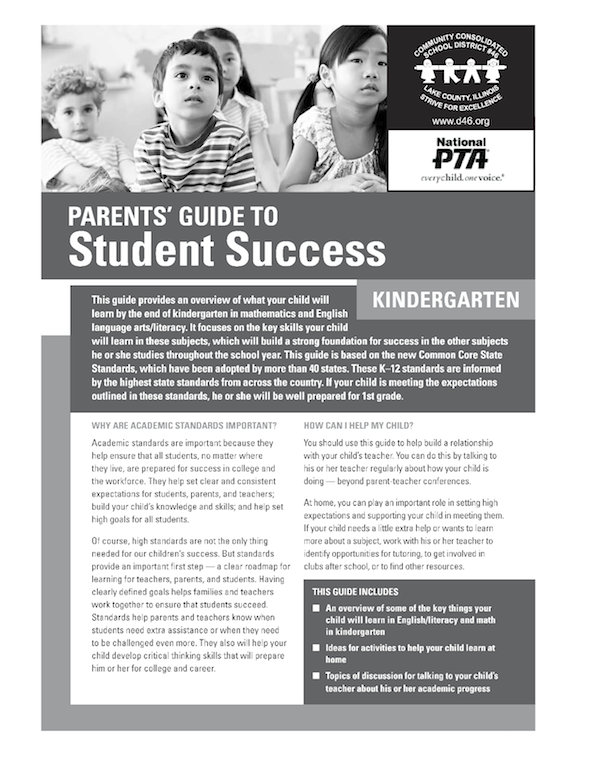 They focus on the key skills your child will learn in these subjects, which will build a strong foundation for success in the other subjects he/she studies throughout the school year. 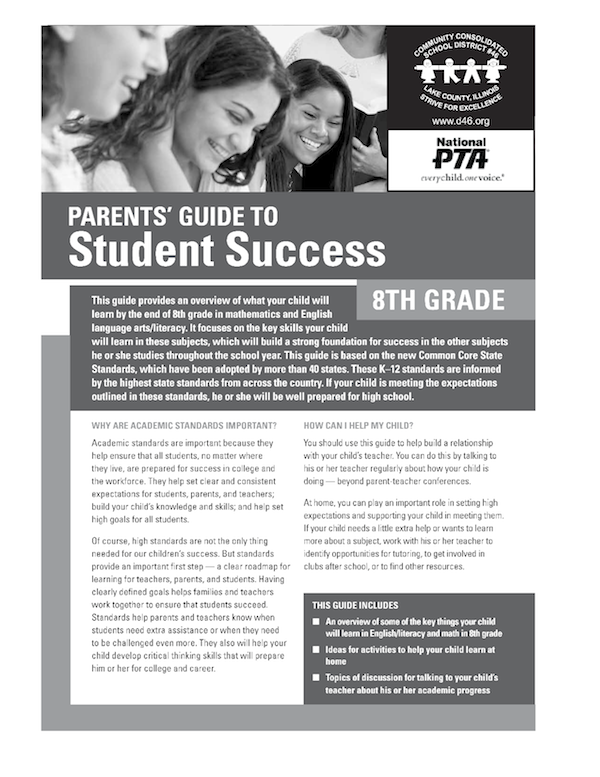 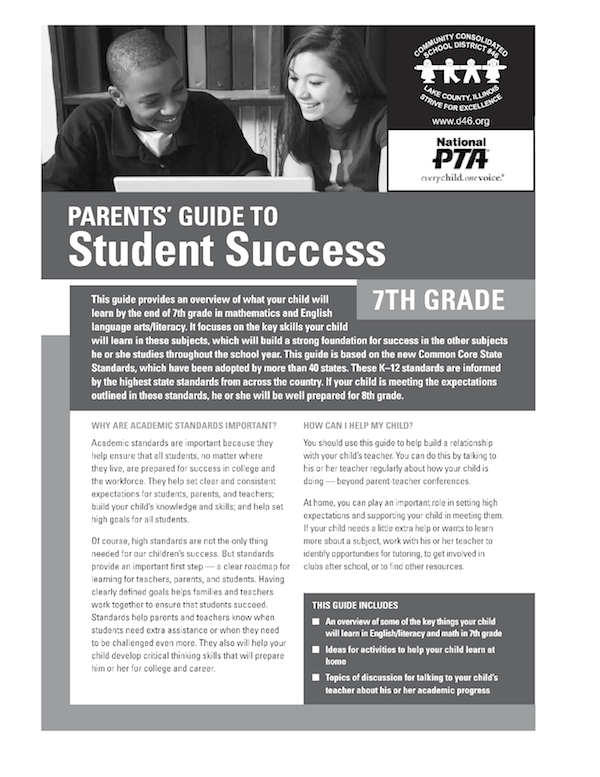 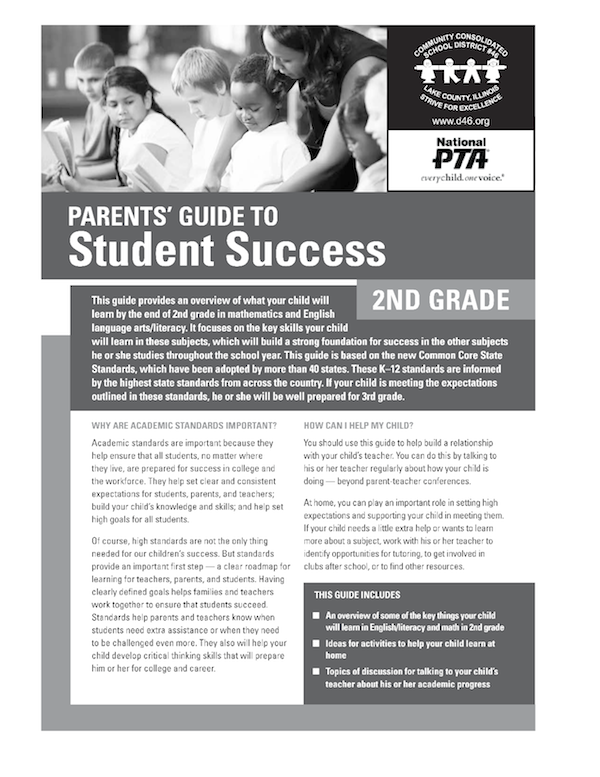 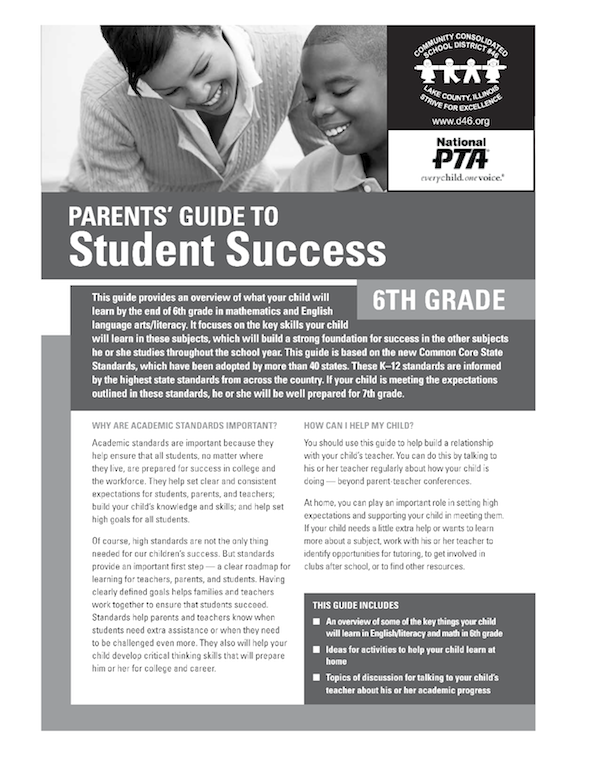 These guides are based on the new Common Core State Standards, which have been adopted by many states. 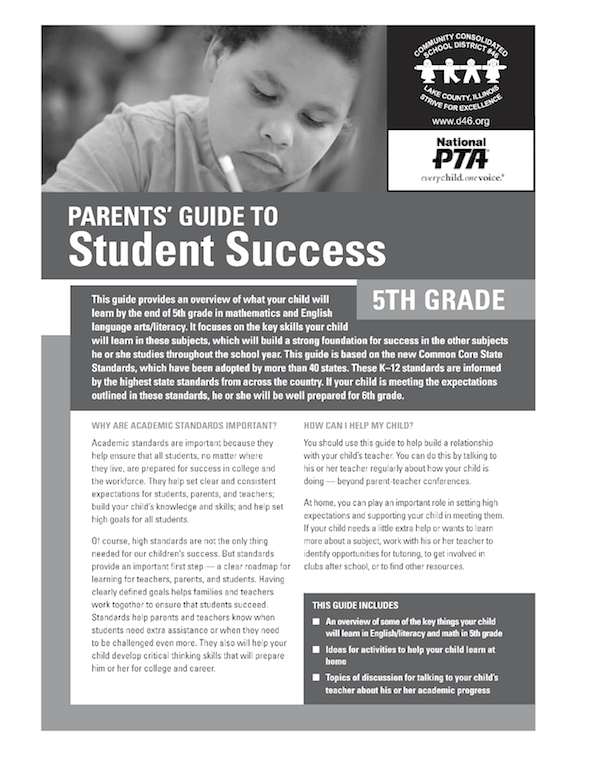 The guides are available in both English and Español.